*Thanks to the fabulous blog Historical Tapestry, I won the UK edition of this book. I think it is called The Winter Sea over here. I love historical fiction, especially when it takes place in Scotland. Goodreads says, "When bestselling author Carrie McClelland visits the windswept ruins of Slains Castle, she is enchanted by the stark and beautiful Scottish landscape. The area is strangely familiar to her but she puts aside her faint sense of unease to begin her new novel, using the castle as her setting, and one of her own ancestors, Sophia, as her heroine. Then Carrie realises her writing is taking on a life of its own and the lines between fact and fiction become increasingly blurred. As Sophia's memories draw Carrie more deeply into the intrigue of 1708, she discovers a captivating love story lost in time. After three hundred years, Sophia's Secret must be told." *Thanks to Kaitlyn at Touchstone for sending me this one to review. I've been on a real historical fiction kick lately. This novel comes out next week and Philippa Gregory, one of my favorite authors, says that this book is "a real triumph." Enough said. *I got this novel through Net Galley some time ago, but never could get it from my computer to my Nook. I finally figured out how and can't wait to read this one! Goodreads says, "In this bittersweet romance, two teens living decades apart form a bond that will change their lives forever. Amy is drawn to the misty, mysterious clearing behind her Aunt Mae’s place because it looks like the perfect place to hide from life. A place to block out the pain of her last relationship, to avoid the kids in her new town, to stop dwelling on what her future holds after high school. Then, she meets a boy lurking in the mist—Henry. Henry is different from any other guy Amy has ever known. And after several meetings in the clearing, she’s starting to fall for him. But Amy is stunned when she finds out just how different Henry really is. Because on his side of the clearing, it’s still 1944. By some miracle, Henry and his family are stuck in the past, staving off the tragedy that will strike them in the future. Amy’s crossing over to Henry’s side brings him more happiness than he’s ever known—but her presence also threatens to destroy his safe existence. 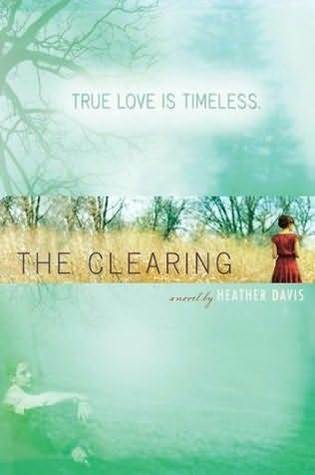 In The Clearing, author Heather Davis crafts a tender and poignant tale about falling in love, finding strength, and having the courage to make your own destiny—a perfect book to slip into and hide away for awhile." *I've been reading a lot of historical fiction lately. I think I do that a lot in the winter, especially when I am snowed in. This novel sounds like a lot of fun and I'm glad I downloaded it to my Nook. Carolyn Meyer is a fantastic YA author of memorable historical fiction. Goodreads says, "History paints her as a shallow party girl, a spoiled fashionista, a callous ruler. Perhaps no other royal has been so maligned—and so misunderstood—as Marie-Antoinette. From the moment she was betrothed to the dauphin of France at age fourteen, perfection was demanded of Marie-Antoinette. She tried to please everyone—courtiers, her young husband, the king, the French people—but often fell short of their expectations. Desperate for affection and subjected to constant scrutiny, this spirited young woman can’t help but want to let loose with elaborate parties, scandalous fashions, and unimaginable luxuries. But as Marie-Antoinette’s lifestyle gets ever-more recklessly extravagant, the peasants of France are suffering from increasing poverty—and becoming outraged. They want to make the queen pay. 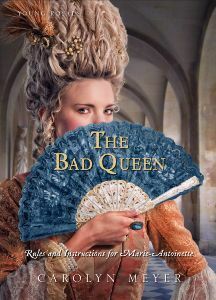 In this latest installment of her acclaimed Young Royals series, Carolyn Meyer reveals the dizzying rise and horrific downfall of the last queen of France." Sophia's secret looks intriguing all your books look just lovely! Can't wait for the reviews!! Oh, the Bad Queen looks like a good read!! Great pile this week. So many great books. I hope you enjoy all of them. The cover for THE BAD QUEEN is gorgeous! I haven't heard of any of these books, so thanks for introducing me to them! 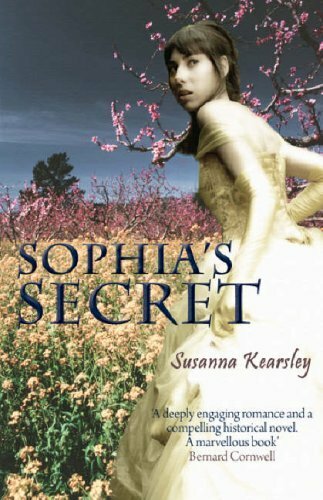 The cover of Sophia's Secret is stunning! I can't belive I never heard of it before. I will wait till your review and then decide if I want to read it too. :) Happy Reading. Great books you got this week. The Clearing looks quite interesting. Hope you enjoy reading all your books. Great books this week...I love historical fiction, too and picked up Lauren Willig's first in her Pink Carnation series. Oh my gosh--Sophia's Secret! I had never heard of that and now I have to go get it! Thanks so much for posting about it and enjoy all your fabulous books! You are so going to LOVE Exist the Actress, I started yesterday and I'm almost done! It is such a different style of read but so absolutely beautiful. Way back when I did a history report on Marie Anionette. I took white packagingstuff and glued it together in a big headpiece...I'll have to check out this book! Oh, I LOVE Sophia's Secret! I didn't think it was the kind of book I would read, but I really enjoyed it. I hope you like it. Fab books this week. I really like the sound of The Bad Queen. Hope you enjoy them all! You can see what I got in my mailbox here. oooh, i'm so jealous of the bad queen!! Can't wait to hear what you think! i want to read exit the actress too. i've read the winter sea, it was a little too deep or something for me. Wow, I love the sound of all of these books, especially Sophia's Secret and Exit the Actress. Am a huge fan of historical fiction, so I'm definitely adding these to my TBR pile! Happy reading - will be sure to check out your reviews of these reads! Awesome haul!!! Thank you for sharing! Enjoy!! !